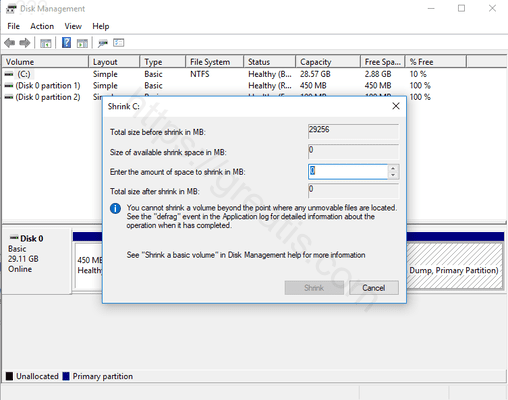 Sometimes you may need to create additional partitions on the disk, to separate your personal files from the system files for your own reasons. To do so, you actually need to resize partition, what is currently exists. 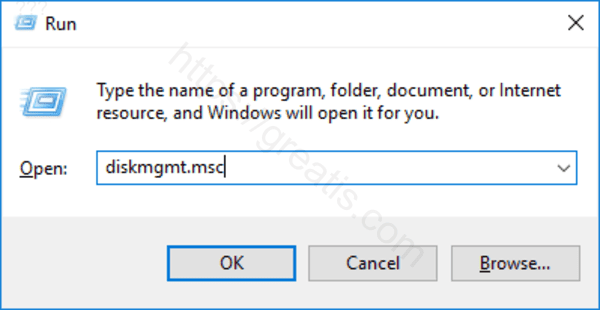 Here is how to do that in Windows 10. STEP 1: At first, press the Win+R keys to load the Run dialog box, type diskmgmt.msc and press Enter. The Disk Management Utility will be displayed. STEP 2: Then right click on the drive you want to resize and select Shrink Volume. STEP 3: After that you will see the available shrink space in MB. 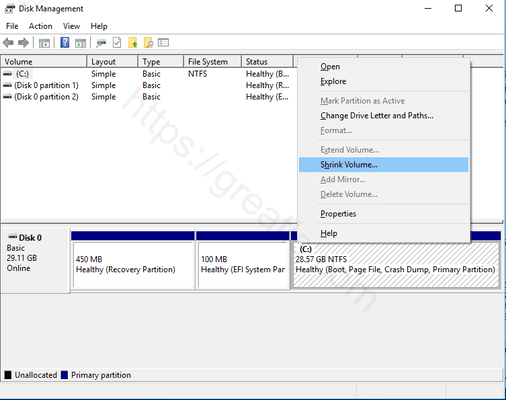 At this point, you can press the Shrink button, to start shrinking the size of drive C:, or to decrease more the available size of the free space for the new volume/partition. STEP 4: Finally, when the Shrink operation is finished, you will see changes you’ve made.